Bel Air Pools & Excavating Inc. is a family owned and operated business that was started in 1972 by John Shatrowkas as Bel Air Homes Inc. Throughout the 1970s and part of the 1980s Bel Air homes Inc. constructed over 250 homes per year. As a natural fit to home sales, Bel Air homes Inc. became a swimming pool dealer, also offering swimming pools as part of their home packages. In the 1980s as interest rates began to rise, and home sales slowed, Bel Air Homes shifted its forces to commercial buildings. Bel Air Homes Inc. continued building in the commercial market until the late 1990s when an opportunity in the swimming pool industry presented itself. Since then Bel Air Homes Inc. has been concentrating on installing vinyl liner & fiberglass swimming pools. Although we still do some construction projects for past loyal customers; In 2012 as part of a heightened marketing campaign to gain brand awareness, Bel Air Pools & Excavating Inc. was created as a subsidiary of Bel Air Homes Inc.
Today, Bel Air Homes Inc. and Bell Air Pools Excavating is owned by John and his two sons. The company focuses all of its attention on swimming pool installation, service, and all of types of excavating projects. Unlike other pool companies that focus some of their attention on retail sales, Bel Air Pools Inc. focus is on the installation, to guarantee that you the customer are getting a higher quality pool at an affordable price. Bel Air Pools & Excavating Inc. does not maintain a retail sales location; all sales are done via web or no obligation in yard consultation. This allows us to keep pricing low. At Bel Air Pools & Excavating Inc., we pride ourselves on providing the highest quality pool, with a professional done right install, with what we believe is the friendliness, most knowledgeable customer service in the industry. 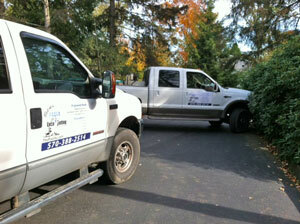 Try us for your next swimming pool or excavation project. We guarantee you will agree.